The work of the Trade Union movement is centred on safe guarding the Rights of workers and has a profound history of advancing women’s rights and galvanising unity in defence of reproductive choice. The 2015 TUC Women’s Conference most certainly made this legacy proud! The 2015 Conference saw no less then 3 motions focused on abortion and articulating the keys issues surrounding the abortion debate. 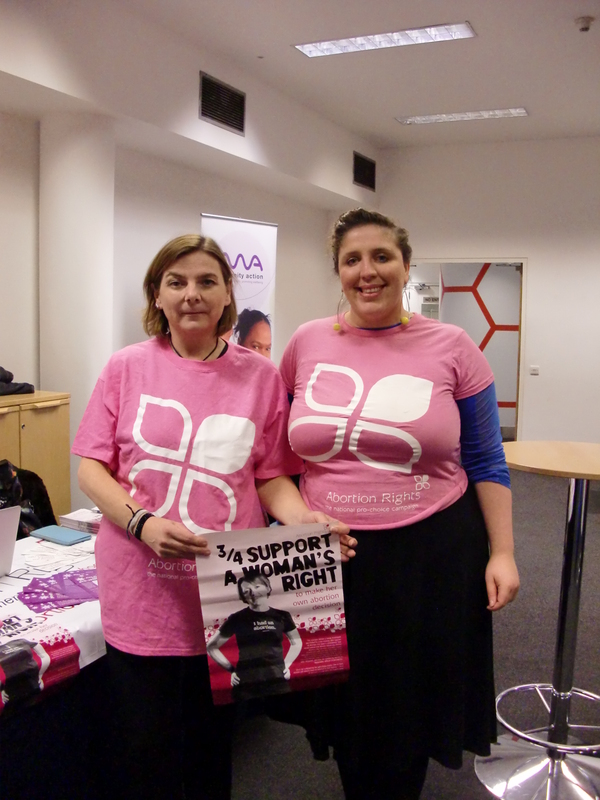 Communication Workers Union (CWU) Motion 37 ‘Abortion and the Right to Choose’ reminded delegates that women still go through the excessive requirement of consulting two doctors before she is granted access to abortion. Emergency motion 1 ‘Abortion’ raised by University and College Union, condemning Fiona Bruce MP’s recent failed attack on the 1976 Abortion Act, was carried unanimously. Finally, Associated Society of Locomotive Engineers and Fireman’s submitted Motion 38 ‘The Double Tragedy of Miscarriage in El Salvador’ This motions brings to attention, the human cost of El Salvador’s total ban on abortion. TUC commits to joining the campaign to end blanket ban on abortion and fight for clemency for those women in prison for miscarriage.